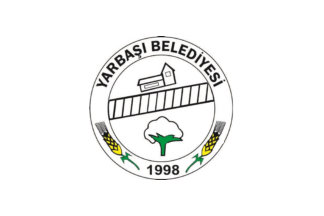 The flag of Yarbaşı (photo) is white with the municipality's emblem. "Belediyesi" means "Municipality". The emblem of the municipality features a railway and a train station representing Yarbaşı station, located on the Adana-İskenderun-Meydanekbez line. On 30 August 2012, an explosive device detonated on a railway track near the Yarbasi train station. There were no reported casualties; however, two train cars were derailed as a result of the blast. No group claimed responsibility for the incident; however, a source suspected the Kurdistan Workers’ Party (PKK).